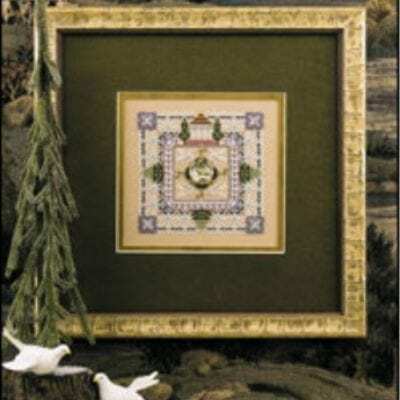 A counted cross stitch pattern from Just Nan that has been finished into a triangle shaped box. 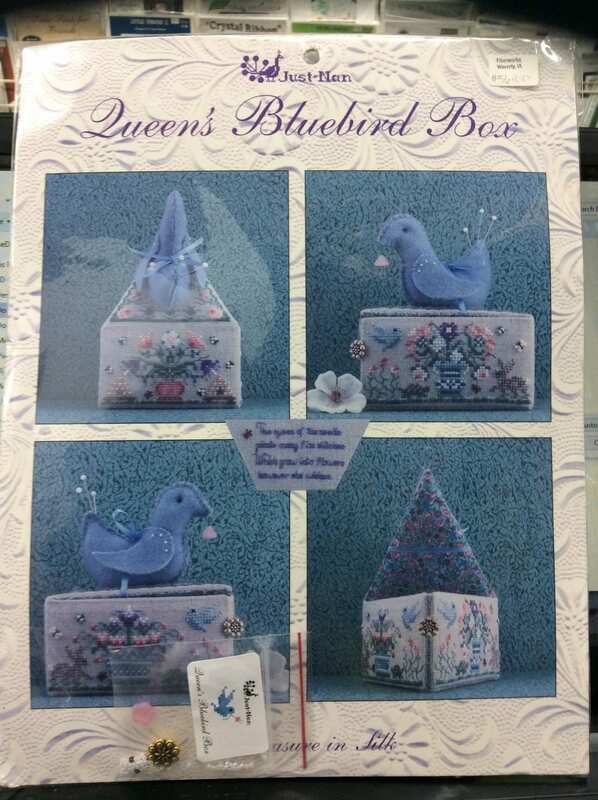 It has a felt bluebird on the top that can be used as a pin cushion. The verse on the lid says ” the queen of the needle plants many fine stitches which grow into flowers however she wishes”. Included beads, tulip bead, button for closure, card board form, blue wool felt, ribbon, lingin fabric and detailed finished instructions by Pamela’s Final Touch. What a great accessory for your sewing area.